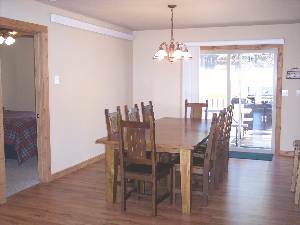 Beautiful New 1700+ square foot Cabin rental completed in May 2005 situated in the midst of meadows and Forest Service. Adjacent Cabins are available. Property has creek and Mickelson Hiking/Biking Trail frontage. Large covered picnic pavilion is on property. 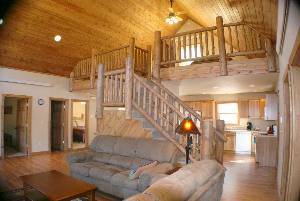 Cabin located 30 miles from Rapid City and 2+ miles from Hill City Shops, Historic 1880 Train and Geological Museum. Within fifteen to thirty minutes drive you can visit: Mount Rushmore National Monument, Crazy Horse Memorial, Lakes, Bear Country, Water Slide, golf courses and Children attraction: Storybook Island. Hot Tub available from May 1st through Oct 15th. What a stay!! Cabin had all that was needed for a pleasant visit to the Black HIlls..excellent location for hitting all the area's highlights...the Trans had it all ready for our arrival. Would highly recommend this location to anyone looking for a beautiful cabin for their visit to the Hills. Hope to stay again soon. Just completed our third stay at these cabins and they are just great. We are locals (from Rapid City) and stay in the Hills for a weekend every winter. 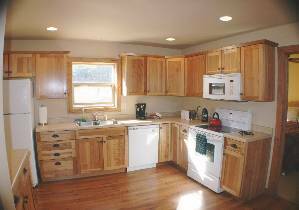 They are very clean and well appointed with a great open feel. The owners are good family folks and are very accomodating. 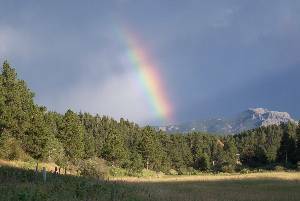 The location is just great.....close to Hill City, Rushmore, Crazy Horse and right on the Mickelson Trail!!! 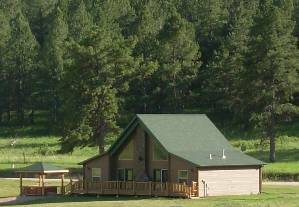 There are three of these cabins, located just 2.6 miles from Hill City. On Labor Day Weekend of 2007, five couples and a stray single friend spent three nights here in two of the cabins. We unanimously decided this the the most awesome place we have stayed as a group in the last 4 years of travelling to the Black Hills. 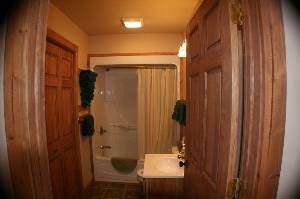 The cabins are very new and modern, with every imaginable necessity provided. We loved it there and will be back next year. we stayed there over labor day weekend, and the place was great. They had everything we needed. Would recomend to others and will stay there again, next time we vist south dakota. The cabin is fantastic!!! Everything was spotlessly clean and well stocked. Stayed on the coldest weekend of the season and was toasty warm. 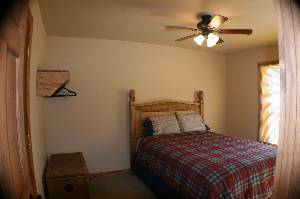 Location is great....close to Hill City and right on the Mickelson Trail. I would highly recommend this place to anyone. Apr...$185/night, May...$255/night, Jun-Aug...$375/night, Sept...$275/night, Oct...$185/night, Rally Week $475-$595/night, Rates based on 4 guests/Night, $20/Night for each additional guest. Tax and use fee totaling 8.5% charged at time of booking plus cleaning fee. Deposit: A 50% deposit is required to hold your reservation. Please pay the balance 30 days before arrival or at reservation if reserved within 30 days of check-in. Cancellations and Refunds: Cabin is pre-sold and there are no refunds unless cabin is able to be re-rented with the same date and rate.